WOW, EVEN THE MOST LIBERAL OF CORPORATIONS ADMIT THE BENEFITS OF THE TRUMP TAX CUTS!!! Via CNBC comes this amazing admission from one of America’s most liberal corporations; Starbucks will raise their employee’s pay and benefits in 2018 thanks to the PRESIDENT TRUMP-GOP tax cuts. 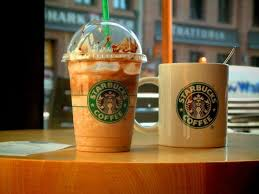 That is correct, Starbucks actually stated so. I guess President Trump is “making Starbucks Great Again” too. 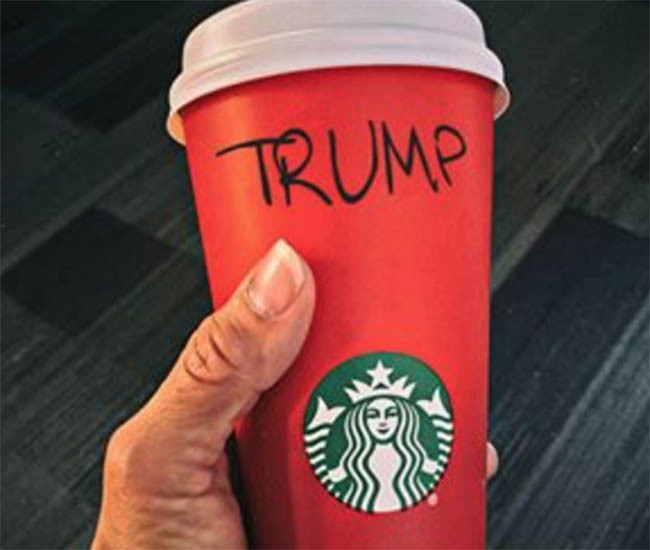 A note to all of the Starbucks liberal employees and baristas, it was Trump, yes, that man you so love to hate that made it happen. It was also the work of the Republicans in the House and Senate who provided this for you as well. Not one Democrat voted for the tax plan that allowed you to keep more of your own money and by reducing the corporate tax rate, allowed for your employer to pass the benefits to you. You might want to remember that in the 2018 midterms and 2020 elections. Starbucks will use some of the savings from the new U.S. corporate tax cuts to give domestic employees pay raises, company stock and expanded benefits with a combined worth of more than $250 million, the company said on Wednesday. With the announcement, the world’s biggest coffee chain joins companies like Walmart, Apple, Comcast, and American Airlines in sharing their tax savings with employees. Starbucks is known for giving its workers, which it calls “partners,” more generous pay and benefits than other mass-market restaurants and retailers. “Investing in our partners has long been our strategy, and due to the recent changes in U.S. tax law, we are able to accelerate some significant partner investments,” Chief Executive Kevin Johnson said in a letter to employees. Seattle-based Starbucks said it will give hourly and salaried employees, who received pay raises in January, a second wage increase in April. It is giving additional stock grants to eligible employees on April 16. Coffee shop workers will receive a grant of at least $500 and store managers will receive $2,000 grants. WHAT A SHOCK … A LIB BUSINESS LIKE STARBUCKS MINIMIZING CHRISTMAS. Starbucks Holiday cups have some folks seeing RED. It would appear that Starbucks has decided to take the Christmas out of their holiday cups this year. Instead of a secular Christmas theme on their cups like ornaments or snowflakes, they have decided to go with just red. Maybe they are looking to save money as they can use the same cups for Valentine’s Day. 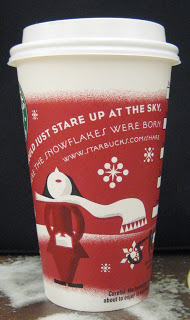 Enough of the excuses from Starbucks about how they are inclusive and serve customers from all walks of live and religions because that never stopped them in the past to having some sort of Christmas holiday decoration on their cups. Was it just this year that they decided to only serve those folks? 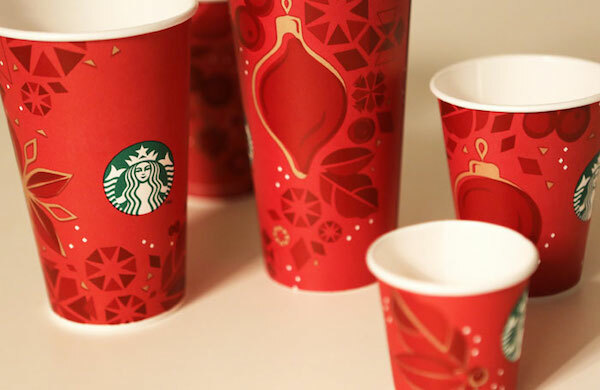 The Evolution of the Starbucks cup … Is anyone else noticing a change? 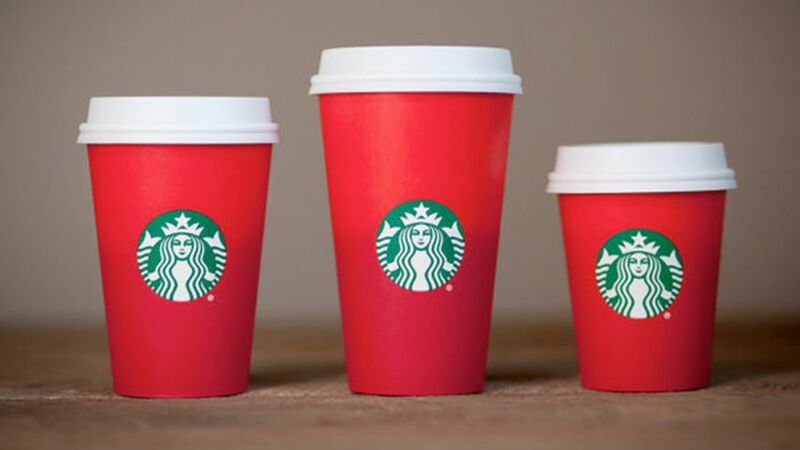 The sight of red cups being handed out at Starbucks usually signifies the “most wonderful time of the year” is underway, but this year’s holiday season at Starbucks is already being marred by a red cup controversy. While red cups of Starbucks past have featured holiday symbols like reindeer and ornaments, this year’s cup is plain. Ever since the 2015 cup was released in U.S. and Canada stores Nov. 1, Starbucks customers have taken to the Internet to say they do not like the cup’s “purity of design,” as Fields called it. So if you have a problem with this you can do two things. 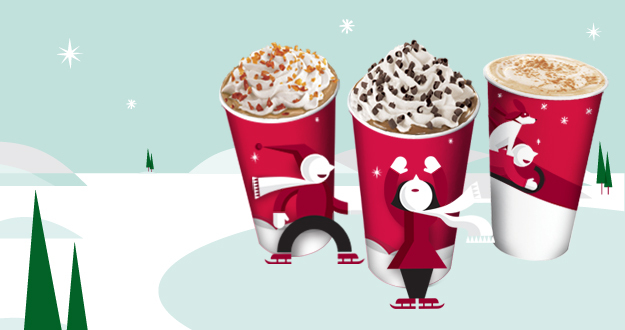 One, do as former pastor Joshua Feuerstein did when he ordered his coffee and told the baristas that his name was “Merry Christmas” and thus making Starbucks write Merry Christmas on their cup. Or you could just not go to Starbucks and save yourself $5 for a coffee. So what part about the Second Amendment and the following of US laws doesn’t Starbucks quite get? Starbucks Corp, the overpriced coffee chain is asking their US customers who have “open carry” or “conceal carry” permits to leave their guns at home. Starbucks claim that they did not want to get involved in the open carry gun debate, yet they just did. Does Starbucks serve waffles? When a company sides with one side of the debate and restricts the other, that is the definition of taking a side. Just curious, how would you know whether I have carrying or not carrying a concealed weapon while ordering a Pumpkin Spice Latte? The Starbucks’ request does not apply to authorized law enforcement personnel. A note to Starbucks, none of the mass shootings, especially the one in Newtown, CT was done by an individual who legally could carry a fire arm.Those who believe in the Second Amendment can always chose not to frequent Starbucks following this decision. I guess not spending money I over-priced coffee will allow for the purchase of more ammunition. Coffee chain Starbucks Corp has asked U.S. customers to leave their guns at home after being dragged into an increasingly fractious debate over U.S. gun rights in the wake of multiple mass shootings. While many U.S. restaurant chains and retailers do not allow firearms on their properties, Starbucks’ policy had been to default to local gun laws, including “open carry” regulations in many U.S. states that allow people to bring guns into stores. In August, this led gun-rights advocates to hold a national “Starbucks Appreciation Day” to thank the firm for its stance, pulling the company deeper into the fierce political fight. Locations for Starbucks Appreciation Day events included Newtown, Connecticut, where 20 children and six adults were shot dead in an elementary school in December. Starbucks closed that shop before the event was scheduled to begin. I wonder how many Starbucks employees would be thankful if some one legally carrying a gun actually saved them during a commission of a crime? All Starbucks just accomplished was making themselves a gun-free zone and susceptible to future crime by those who do not follow the law.